Laurel Burch Moroccan Mares Tote. 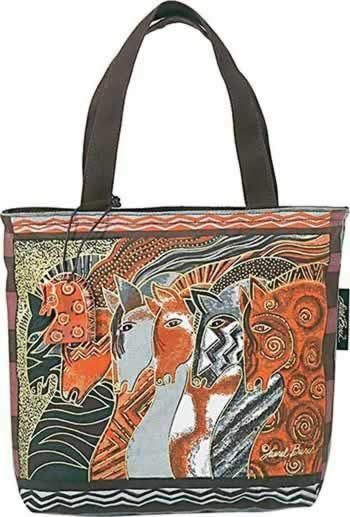 Laurel Burch Moroccan Mares Horse Small Handbag. This cotton Laurel Burch canvas small tote measures 11" x 3" x 8". It has has a top zipper and fabric handles. No inside pockets.